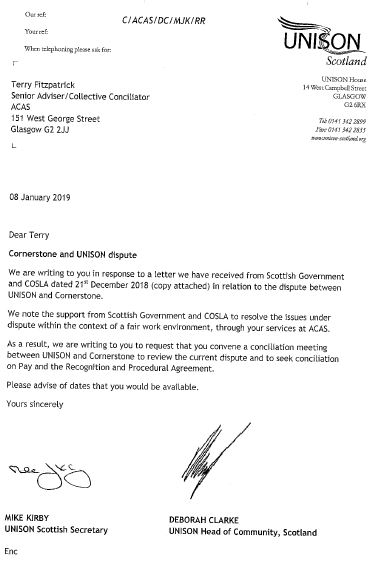 Please find below a copy of a letter to ACAS confirming our willingness to meet Cornerstone on Pay and our Recognition Agreement. 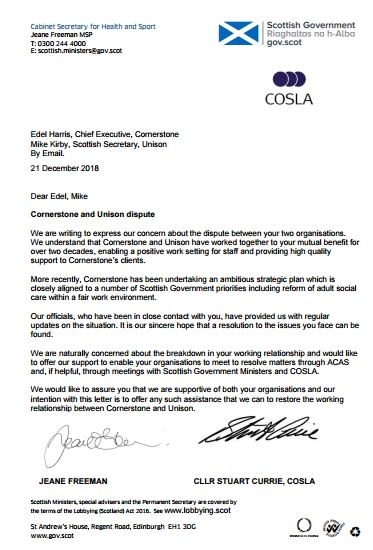 This is in response to the letter we received just before Christmas from the Scottish Government and COSLA which I have also attached. Our letter was emailed to Scottish Government, COSLA, and the Chief Executive of Cornerstone in order that they are aware of our position. As always we will keep you updated as matters progress.